Many corporates have gone ahead and demonstrated climate leadership by putting up bold, absolute reduction targets and (early-)adopting disclosures such as CDP and the recommendations by the Task Force for Climate Related Financial Disclosures (TCFD). For instance, the 139 companies that made it to CDP’s Climate Change A List 2018 come to mind. Yet, others may not yet be that far along their journey. Whether the objectives set out in the Paris Agreement are achieved, depends on targeted actions from all collective public and private entities. Especially less carbon-intensive sectors such as media, professional services, or financial institutions that may have been “flying under the radar” in terms of materiality of operational emissions and energy intensity may need a kickstart approach on their climate approach. Investors want to know how companies are assessing, evaluating, mitigating and seizing climate risks and opportunities – regardless of the sector they are in. This was underlined for instance by RobecoSAM, which in 2018 further aligned with TCFD and CDP and rolled out the Climate Strategy criterion in its Corporate Sustainability Assessment to all industries, whereas previously it was only included for sectors with a manufacturing character. While it can seem to be a daunting job to develop a data-driven climate ambition and roadmap, we have developed a straight-forward 5-step approach to break down the process to getting started. Start measuring your emissions within the organization and relevant impacts from upstream and downstream activities. 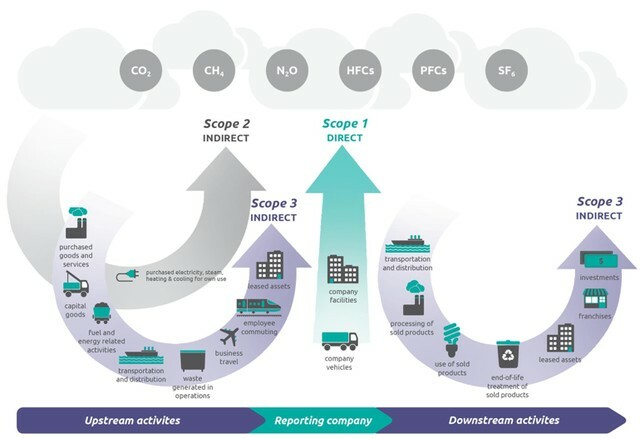 Tracking your scope 1, 2 and 3 emissions is essential to start understanding your impacts and where to begin to tackle them. Having maximum coverage across the company’s operations is ideal, but if gathering complete data is not feasible, focus on the most important locations, and extrapolate from there. Once you have your data in order, analyze where the biggest peaks in emissions are coming from. Is it electricity consumption or fuel combustion in your own operation, business travel or employee commuting, or the processing or usage of your sold products at the end customer? Be as specific as possible in narrowing down the sources that have the biggest share in the footprint. Once you’ve identified the main culprits, the real work begins. Talk with the internal topic owners and experts to understand the existing situation, learn about what current plans for improvement may already be planned and what they see as relevant and feasible steps moving forward. Collaborate to build a business case if additional capital expenditures are required: what are the investments, and which returns are to be expected in terms of reduced emissions, cost savings or additional revenues? Applying an (internal) carbon price to incorporate climate impacts into financial modeling is a valuable tool to develop a common language across the company. When your biggest impacts are found outside of your company’s own operations, it doesn’t mean you can’t influence the source. Take for example ING, that announced last September to start steering its lending portfolio of over €500 billion towards meeting the Paris Agreement’s well-below two-degree goal. Engage with your upstream and/or downstream business partners to develop common objectives, and design interventions that can form the carrot or the stick towards change. Obligatory contract clauses or financial incentives may be part of this step to drive change. Then collect your streams, internal and external initiatives and planned activities in a long-term roadmap, to create a clear overview of which impacts are expected to occur when. And subsequently map these climate factors to your enterprise risk management, to incorporate future developments in the roadmap and to ensure that climate impacts are embedded in the business risks and opportunities decision making process. In alignment with step 3 and based on expected impacts and risk appetite, the company starts to develop SMART climate targets – either relative targets based on intensity (compared to revenues or production volume, for instance) or on absolute reduction of e.g. GHG emissions or energy consumption. Note that while the first may be relatively “easy” to commit to as it adapts to business growth, the latter is more progressive and in line with Paris Agreement objectives. The Science Based Targets Initiative (SBTI) was established to help companies to align their emissions cuts with what’s needed to meet the goals of the Paris Agreement. In April 2019, new technical resources and an updated set of target validation criteria will become available that reflect the latest science from IPCC Special Report on Global Warming of 1.5°C. While submitting for “official” SBTI approved climate targets may be overwhelming, companies can still apply the SBTI methods as guidance for their internal target development, for instance by aligning with the 1.23% absolute reduction per year objective of the absolute-based approach. Finally, it’s time to go out and be vocal. A public CEO statement emphasizes the company-wide commitment to climate targets and objectives. Make sure to keep up accountability by being open and transparent about your progress in regular reporting, and make use of standards like TCFD or CDP to align with specific stakeholders’ needs. In fact, metrics and targets only form one of the layers of the TCFD’s recommended climate related financial disclosures. Governance, strategy and risk management are the other core elements of information that will help investors and others understand how reporting organizations assess climate-related risks and opportunities. 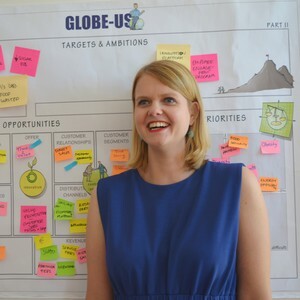 Need help in developing your company’s climate approach? 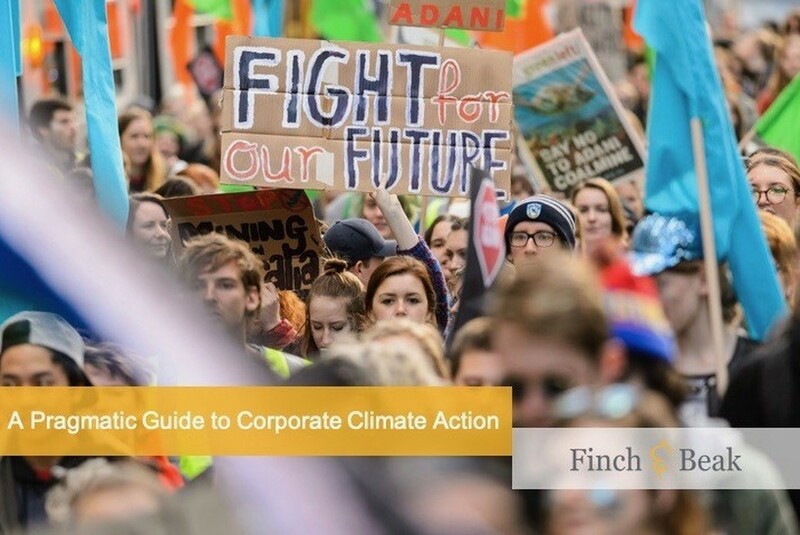 In case you are ready to start developing a climate approach in your own company, Finch & Beak can help you. Contact Nikkie Vinke, Senior Consultant, at nikkie@finchandbeak.com to find out more.